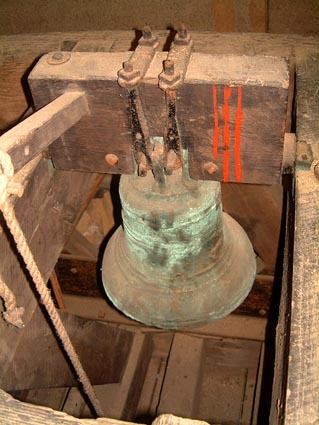 c 1700 The Sanctus Bell was recast. 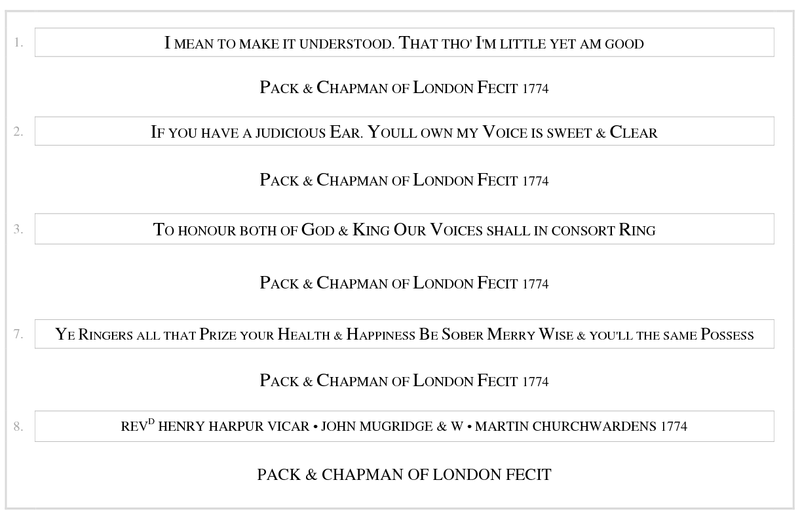 1774 Ring of 8 cast by Pack & Chapman to replace an earlier ring of 6. 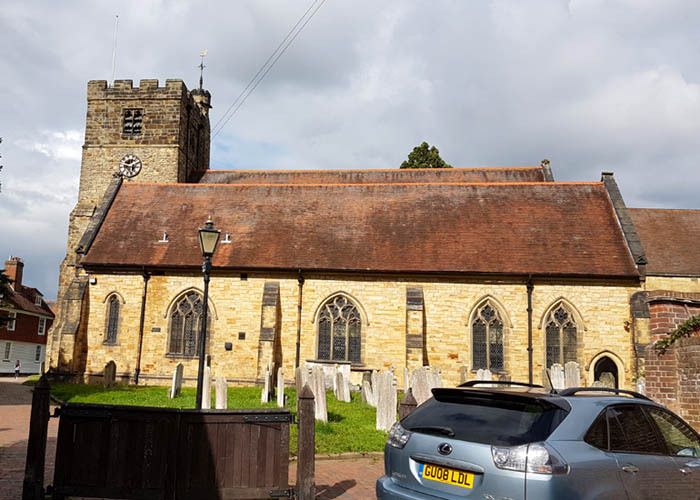 1879 Church completely restored and a second south aisle added. 1897 Tenor recast by Mears & Stainbank. 1913 Treble recast by Mears & Stainbank. 1948 John Taylor & Co. visited the tower and condemned the frame. They found the 7th cracked and quoted for recasting it and tuning the other secen with all new fittings and frames (including for the Priest's bell. They also quoted for recasting the lot (except the Priest's bell) to a new eight, 19 cwt in E ("along the lines of the bells we cast for St George, Gravesend or The Annunciation, Chislehurst"). 1951 Bells 1, 2, 3 and 7 recast by Mears & Stainbank. The belfry, with the tenor in the foreground. 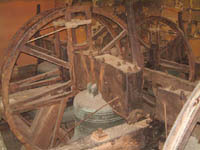 The Sanctus bell hung in its own pit in the frame.